I can’t believe I have never reviewed this book, it is literally one of my favorites. I’ve read it, I don't know how many times over the year. 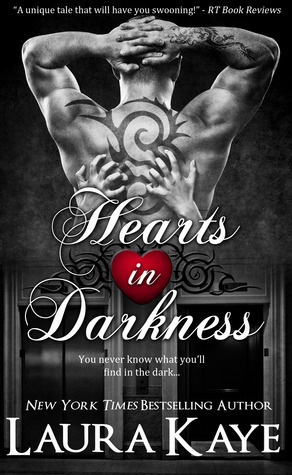 The basic premise of this book is, Caden and Makenna get stuck in an elevator together in the dark without ever having clearly seen the other (Makenna was too distracted and had her hair all in her face so Caden never got a good look at anything but her hair). With nothing else to do and the need to keep Caden distracted these two do something so rare these days.. They talk, and talk and talk. Anything and everything was discussed, in those hours they were stuck in the elevator they learned more about each other than some couples do after a month or two of dating. In some ways since they never saw each other they were able to get closer, quicker, but when the lights come on will they feel the same? This book is just so sweet and you just fall in love with Caden and Mackenna. I think it took 3 or 4 years for the sequel to come out, I don't even think there was supposed to be one, but people (myself included) were just not able to let this couple go. Beware, if you read the book you might have the same problem. Good thing is you won't have to wait for the squeal.